Hi ladies, a school exchange to London in 1999 sparked my love for the UK. Back then as a teenager, I was absolutely overwhelmed by the vibrant culture and energetic chaos that is London. The trip impacted my entire life and I dedicated all of my time to improve my English. The aim was to return to London after my A-Levels and in 2005 the time had finally come. I attended a private language school by EF. These days, my school which is only a short walk from Waterloo and Southwark station has been in the news and also sparked nostalgia in me. It has now been 10 years since I’ve finished my A-Levels with an ‘Outstanding’ in English. In autumn 2005, I would attend a private international language school in central London, run by EF. EF (education first) is a private organisation that offers language courses at their private schools spread across the globe and also organises Au-Pair opportunities to the US. I first heard about the Au-Pair programme but when I visited the EF HQ in Berlin for an Au-Pair interview, my attention was soon drawn to a brochure introducing the language courses. London was one of their top schools in Europe, so the US were very, very quickly forgotten. 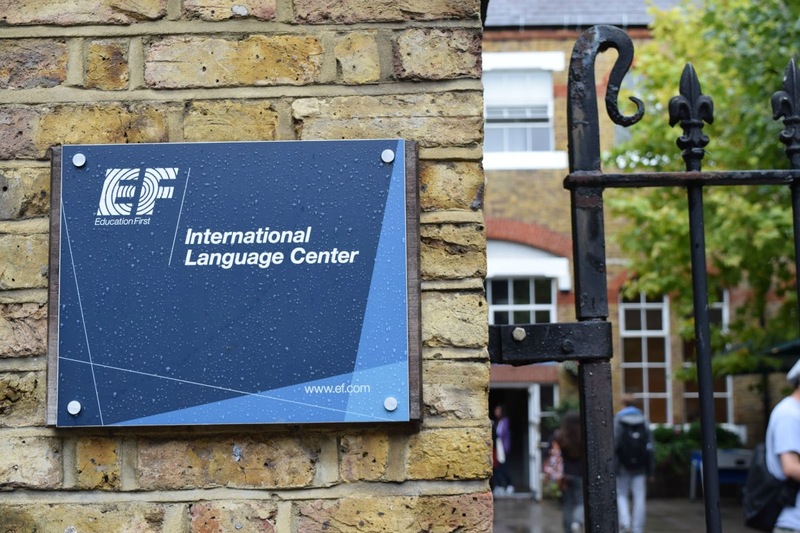 My stay at the EF International Language School in London would last for six months and I would receive lessons alongside other internationals to perfect my English. I was also prepared to take language exams, as most of them such as the TOEFL (an American-based Test of English as a Foreign Language) and the CAE (Cambridge Certificate of Advanced English) were requirements to enter university. Though the entire course cost me £10.000 alone, my parents invested in my future and in September 2005 at the age of 19, I moved to London. 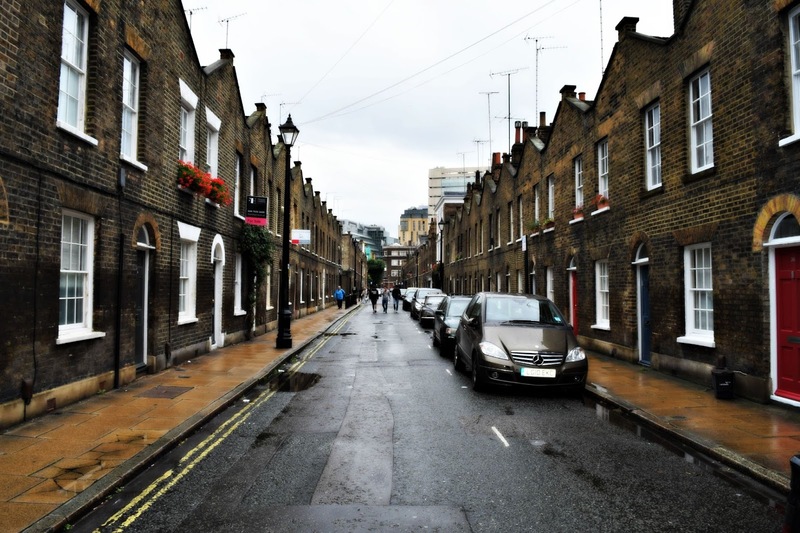 The iconic Roupell Street in the London Borough of Southwark. 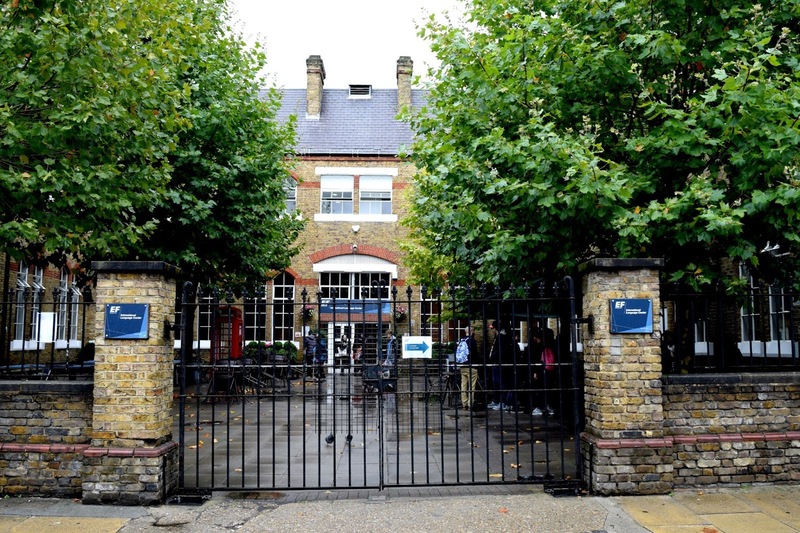 150 years of Victorian history and home to the EF International Language School. It was my first time living away from home and I loved it. It was of course not always ‘butterflies and unicorns’. Especially at the beginning, I went through a very tough time staying with several 'guest families' and the chemistry between us didn't work well. Things started to change and I felt more comfy settling in when I paid some extra money to live in the residence at Larch Court on Harrow Road, West London. The moment I moved the stay became a lot better and I was able to settle in and focus on my classes. My class was incredible. For the first time, I would study alongside like-minded people sharing the love for the English language. Unlike grammar school, no one would bully me for being a nerd. The contrary was the case. My class was amazing and very supportive because we were all from different cultures and miles away from home, so somehow we needed each other to survive homesickness and the challenge of living in a foreign place. I often helped classmates with homework and they would tell me about their homes and cultures. It was at that time, that I learnt a variety of basic knowledge of Korean, Swedish, Spanish and Portuguese. The welcoming atmosphere of my class and also the strong support amongst us triggered something in me. I would see languages in a completely different way and the wish to study languages and how they work became stronger and stronger. In March 2006 we took our TOEFL and CAE exams. It was a sad time really because for most of us the courses had come to an end and the time to say our Good-Byes approached very fast. I have to admit that I didn’t fully appreciate my time in London and looking back I should have done so to get the most out of this unique experience. It only dawned on me when I started uni in October the same year that I would probably never see my classmates again, or at least the communication would become less and less by the day. It made me very upset when I started my linguistic studies but at the same time, I remembered all the fun times we had together and also how important it was that we had each other back then. These happy memories were a source of my inspiration and motivation to one day contribute actively to the peaceful and harmonious exchange of cultures. Even speaking some basics of a language can help to bridge communication between people and they are generally very happy when you show interest in their culture. My extensive language studies included how communication worked and also how our languages in Europe relate to each other. Today, I’m a fully trained first class M.A. linguist and culture researcher (my official title from uni #soproud) and I wouldn’t have come this far if it hadn’t been for my time with EF in London. Though I've been learning English since the age of 8 and I would call myself bilingual today, I'm still learning. The process never ends and I still come across words, that I've never heard before. 'Procrastination' and 'gaudy' made it recently into my vocabulary. EF have further extended their programmes and now offer online courses under EF Englishtown, so you can improve your language skills from the comfort of your home. I’m still in contact with some of my friends from EF. 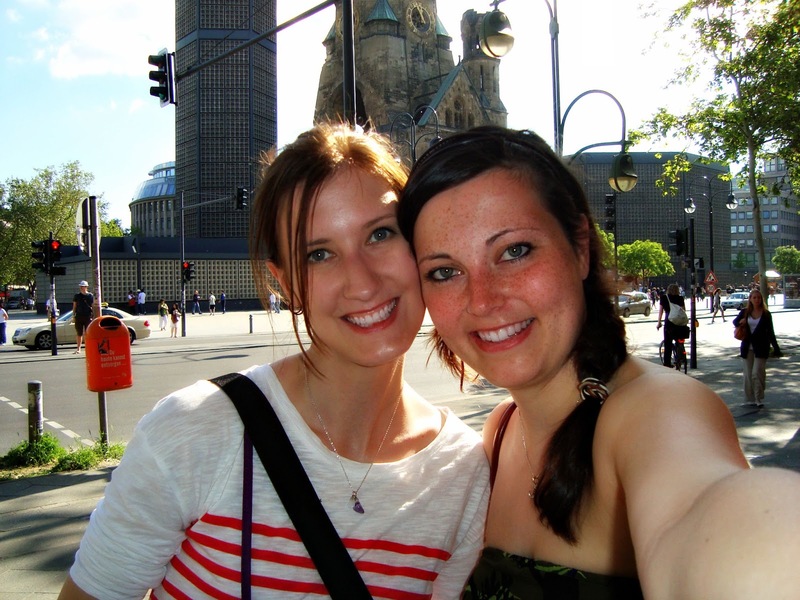 I speak regularly to my friend Eva (Germany) and Anna (Sweden), who came to see me in Berlin in 2010. My other Swede Kristoffer is less talk-active these days as he has become a successful news reporter and looks after his lovely family. Hanna from Norway got married and Anna (Mexico) has been in touch lately. Anna from Sweden, who came to see me in Berlin 2010. In 2008 I went to say hello to my teacher Mrs. Owen who has been a brilliant teacher and friend. I’m a bit sad I lost touch with my Brazilian classmates Marcus, Gilli and Sarah and also with my friend Dennis from Soul, South Korea. Hope we can reconnect soon, but I guess that always happens on your way in life. Some walk the path of life with you for a long time and others will only accompany you for a short while. But this ‘while’ has been an amazing time in my life and my international friends are certainly not forgotten. Thank you so much for reading today's post. Can you speak a second language or are you currently learning one? Do you see advantages/disadvantages in being bilingual? What does language learning mean to you? Let me know as I will giveaway a goody bag for the most creative comment.